It started with T-ball and got worse, I mean better, from there. Suddenly we found ourselves in the market for all things baseball. Fortunately, there are a number of great furniture and decorative items out there to fill our son’s room with all things baseball. 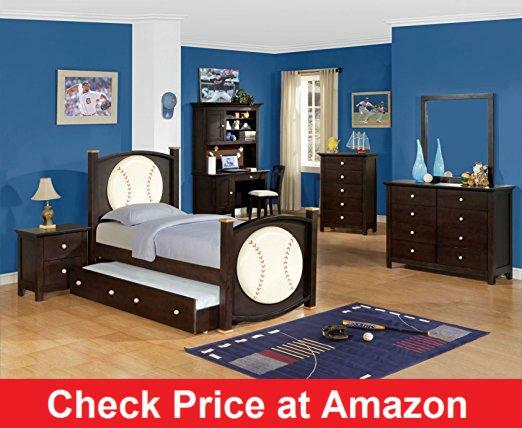 This includes a number of fabulous baseball bed options. After a number of days researching and pouring through Google Searches for “baseball beds” we discovered a bunk bed option that we absolutely loved. When trying to research it, I had some difficulty finding online reviews for it, and although what I did find was mixed, we took a chance and made the purchase based on the company’s other reviews and history. Furniture of America is a company based in California that has spent more than 20 years working to establish itself as a premier provider of high-quality, low-cost home furnishings to “urban-minded” shoppers. This option offered a stylish dark brown espresso finish that our son will easily be able to grow up with. It also coordinates nicely with the other pieces in his room and will be a snap to match if we ever have a need to add or change anything. And, while we got it for our son’s room, the versatile design can definitely be used for any boy or girl who loves baseball. This baseball bed is made of durable solid wood and strength boosting veneer finishes, making it a stable addition to our home. It also comes with 2 drawers under the bottom bed for clothing or extra blanket and pillow storage. We also love the fact that he can now have a friend spend the night and we no longer have to pull out the air mattress for his friends’ visits. Overall, I would highly recommend this purchase if you are in the market for a baseball bed to add to your child’s baseball themed room. 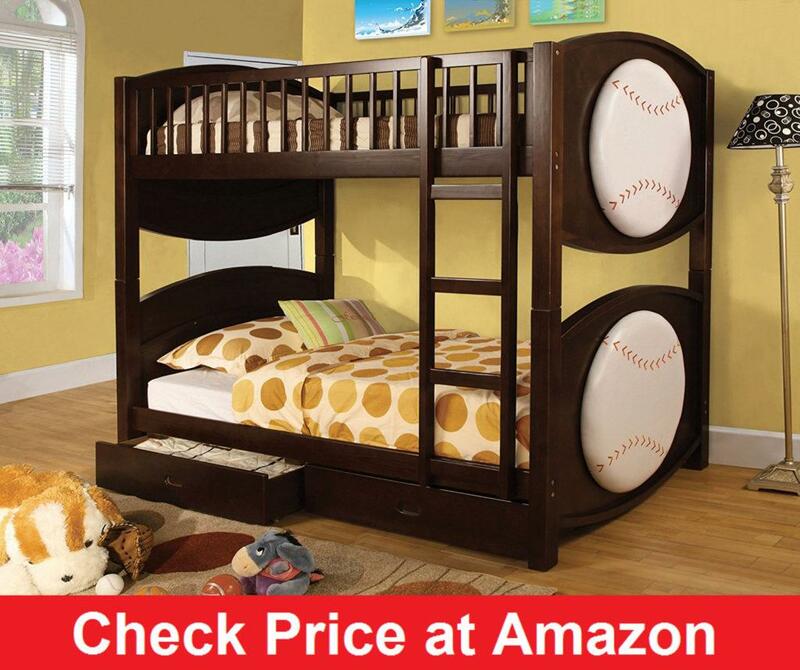 Its stability and versatility will make it a wonderful addition to any boy or girls room who shares the same passion for baseball that my son has. You can find this bed at any number of retail stores including Amazon.com.